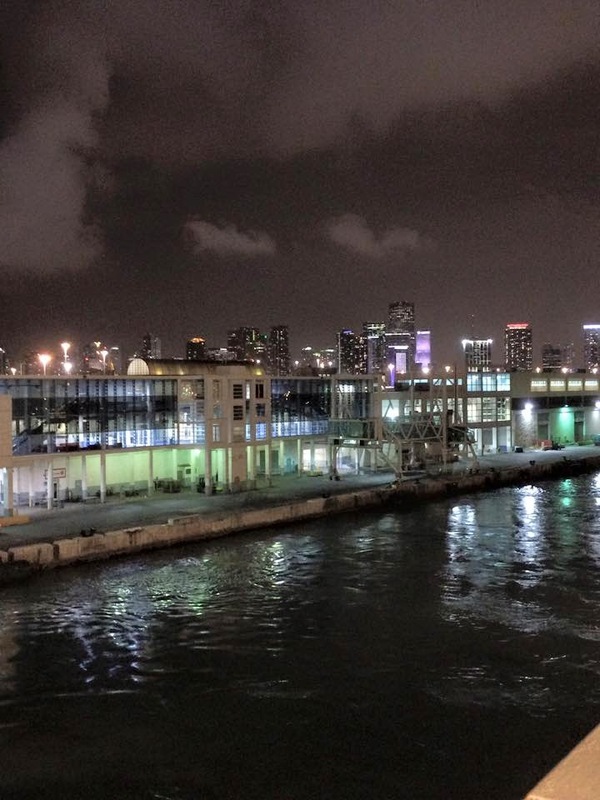 "" Writer's Wanderings: World Cruise -- Goodbye Miami, Hello World! The excitement was building. You could feel it at the dinner table as our six tablemates talked and laughed with us. Sailaway was scheduled for eight o'clock and we excused ourselves a bit early as scurried out to the Promenade Deck just in time to see the ship moving away from the dock and hear the blast of It's A Wonderful World by Louis Armstrong over the loud speakers outside. We wondered if that tradition would continue. Apparently it will. 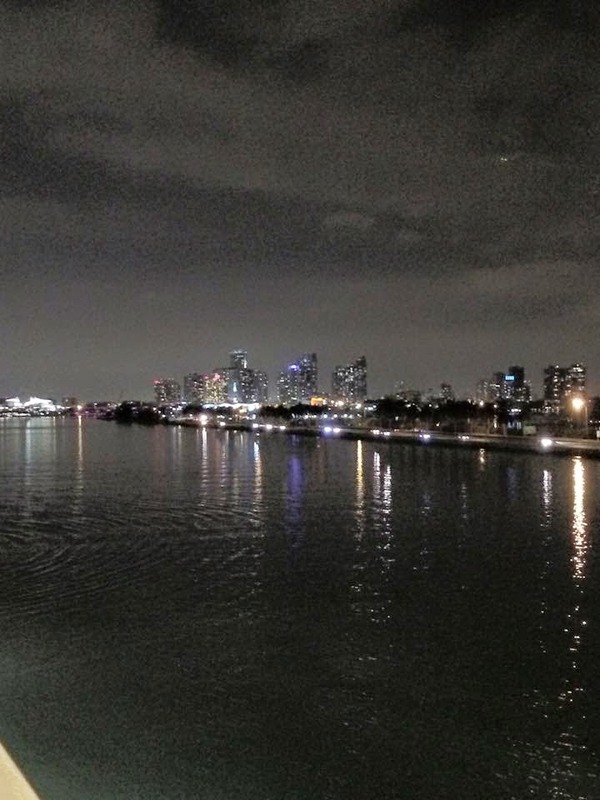 The city of Miami is beautiful at night. Reminds me of Hong Kong a little. Colored lights created a sparkling skyline. Ribbons of lights moved along the causeway beside us as cars made their way out to Miami Beach. The air was sweetened with a slight ocean breeze as we slowly made our way down the channel and out to the ocean. It wasn't long before we were sitting in the Galazy Lounge enjoying the Welcome Aboard show and feeling the familiar gentle roll of the ship as it made its way further out into the ocean and turned south. Lookout world! Here we come!